Lisa Hall, left, looks on as Juana McLaurin talks about the firing of several Gary EMTs. Both women were among those who were fired. Juana McLaurin talks about the firing of several Gary EMTs as Lisa Hall looks on. Both women were among those that were fired. 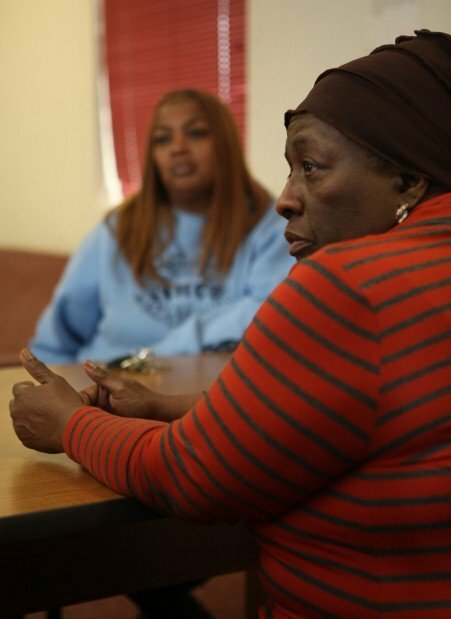 Juanita Smith, left, and Lisa Hall look on as Juana McLaurin, foreground, talks about the firing of several Gary EMTs. The trio who were among those fired have said they will file a discrimination complaint with the U.S. Equal Employment Opportunity Commission. GARY | Three fired Gary emergency medical technicians said they were targeted for layoff because of their age and their seniority was not considered. The three EMTs, all black women over 50 with a combined 64 years of experience in Gary, said they will be filing a discrimination complaint with the U.S. Equal Employment Opportunity Commission. The three who lost their jobs in Dec. 31 are Juana McLaurin, 60, with 32 years as a Gary EMT; Juanita Smith, 52, with 15 years; and Lisa Hall, 55, with 17 years. "They're taking all their experienced employees away," McLaurin said. McLaurin, and five others who were fired, started out 32 years ago as Gary's first civilian EMTs, Hall said. McLaurin said most of the 12 EMTs who were fired were over the age of 50, women and minorities. "It seems like age discrimination first then go from there," McLaurin said. 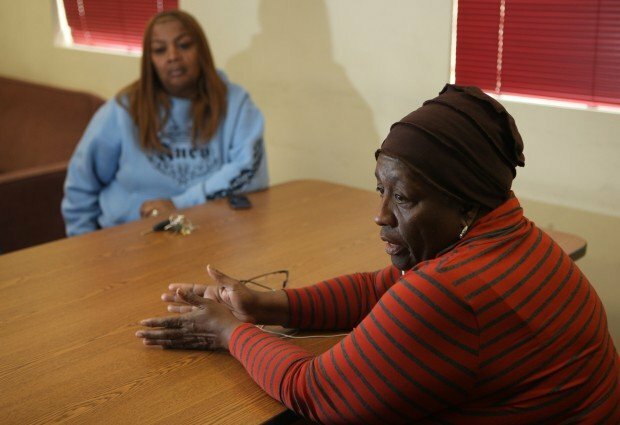 The three women were among the initial 15 EMTs who were fired following action taken Dec. 28 by the Gary City Council. Some of those initially fired were able to get back their jobs because they had obtained the required paramedic training, Mayor Karen Freeman-Wilson said. Eliminating the EMT jobs saved the city $1.2 million. The mayor said there was ample warning of the move. It was broached in detail on Sept. 26 and at subsequent public meetings, Freeman-Wilson said. Freeman-Wilson said the fired EMTs have a right to take any legal action they see fit. "To the extent that both the fire chief and I are both African-Americans, females and over 50, I think it will make a hard case in those three areas and they are not likely to win," Freeman-Wilson said. As to whether seniority was factored into the terminations, Freeman-Wilson said those who retained their jobs did so because they went forward with necessary training. "It was based on training and whether or not they could meet the requirements of the state to go into a paramedic's position," Freeman-Wilson said. The mayor said those fired have requested a meeting with her and she plans to hold one in coming days. She said she has kept good her promise to try and fill other city positions with those fired and hopes to soon fill a dispatch position once approved by the City Council. "There will be offers forthcoming," Freeman-Wilson said. She said she will also have WorkOne come to the city and do a presentation to assist those who were fired with job placement either within or outside the city.